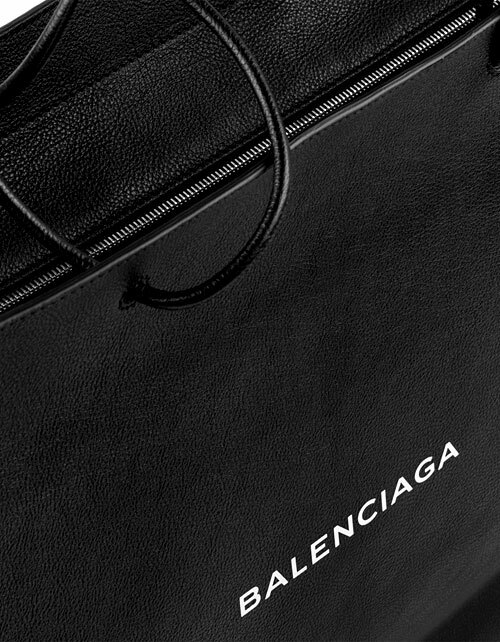 No doubt feeling pretty good about its cheeky luxury hack of Ikea's utilitarian Frakta bag, inspiring countless DIY imitations, Balenciaga has just unveiled another upmarket shopping bag. Even more expensive than the first, the new tote is a suped-up version of the brand's own paper shopper. The black and white logo tote is made with calf leather, leather handles, and silver-metal hardware. These will not — repeat, not — be handed out with every purchase.